Oology is the study of eggs, mostly their shells. In the 19th and early 20th century it was a hobby, like stamp and coin collecting. Eggs were collected from wild birds’ nests, holes made in both ends, and the material inside blown out. They were displayed, sold, and traded, like many collectors’ items today. I’ve even seen an egg collection, identified and framed, by a Boy Scout troop many years ago – don’t know if they got merit badges. According to Wikipedia, Colin Watson was a British egg collector who stole eggs of rare and wild birds from protected wildlife sites throughout Great Britain. 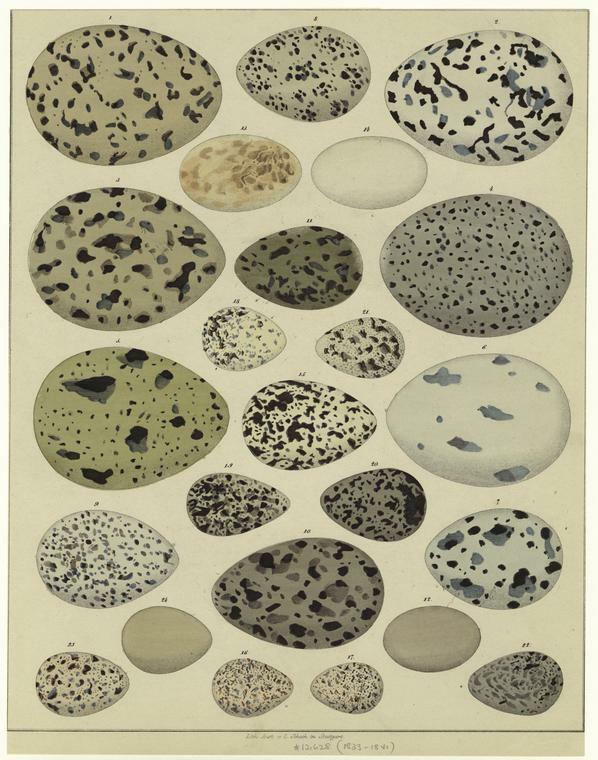 Despite six convictions and considerable fines, he amassed the largest egg collection in the country before the collection of over 2000 eggs was confiscated by the Royal Society for the Protection of Birds. A year later, he was accused of attempting to cut down an osprey nesting tree with a chainsaw in Scotland but died in 2006 died after falling from a tree he climbed. From British news sources, an English roofer with an “addiction” to collecting bird eggs was jailed for six months. Gregory Wheal received the maximum possible sentence after police found four peregrine falcon eggs and six raven eggs at his home. A court heard how Wheal’s “obsession” has dominated his life for more than 20 years. He has previously been caught taking raven, peregrine falcon, golden eagle, whimbrel and hundreds of other wild bird eggs, making him Britain’s most convicted bird egg collector. Brit Richard Pearson devoted a bedroom of his home to his collection of 7,715 eggs, all of which are protected under law. Their date of collection and notes on their freshness were put in notebooks. His collection contained eggs from Britain’s rarest birds including the golden eagle, little tern, osprey, black-necked grebe, avocet, black-tailed godwit, stone curlew, chough, peregrine falcon and red-throated diver. For 15 years he spent evenings and weekends painstakingly researching where he could find the eggs and then stealing them. He claimed he was given many of them by the notorious collector Colin Watson. Happily, the fascination of egg collecting faded in the U.S. But there was one good outcome. After DDT came into wide use in the 1940’s, some birds such as Peregrine Falcons and Brown Pelicans began to decline. Studies of egg collections showed that their shells were becoming thinner because metabolizing DDT resulted in less calcium being deposited in the egg shells. Incubating birds would literally crush their eggs when they sat on them. DDT was banned in the U.S. in 1972 and birds began to recover.